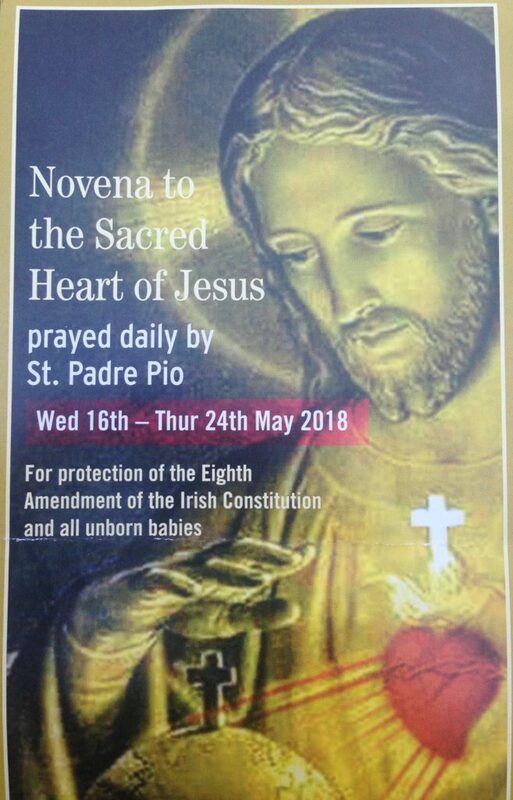 Our first day in Ireland was May 24, which was the same day that the Republic held a referendum on whether or not to repeal the eighth amendment to the constitution, which dates from 1983 and which prohibits the practice of abortion except in very extreme circumstances. 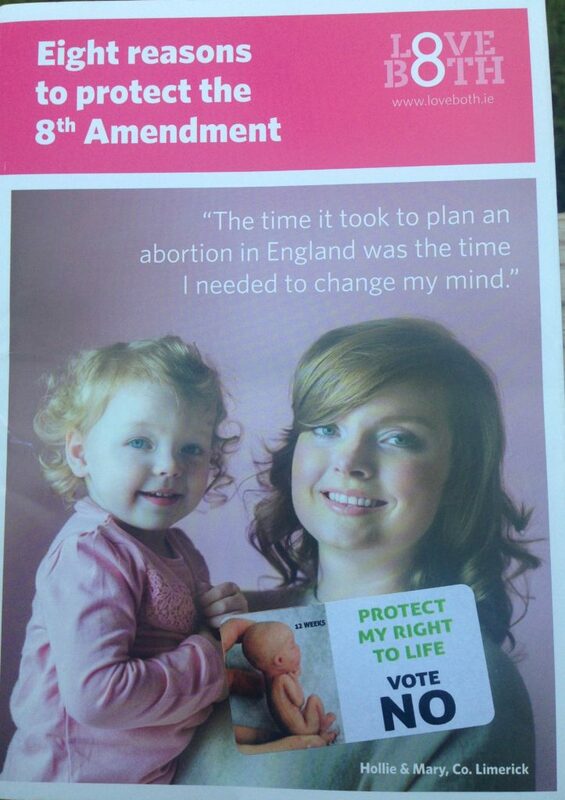 As you may be aware, the Irish voted overwhelmingly to repeal the eighth amendment, 66.4% to 33.6%. 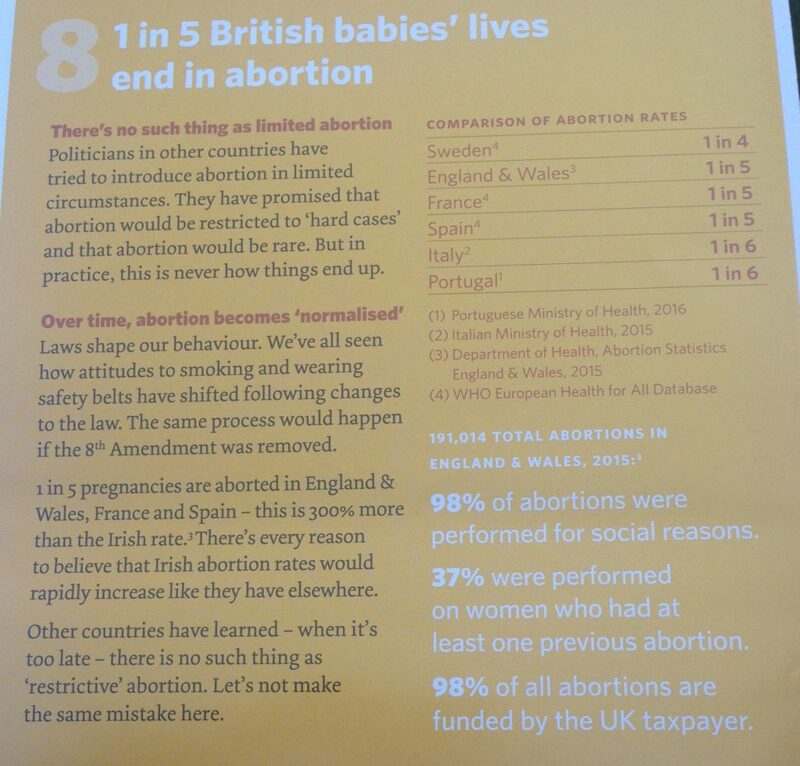 What I did not know is that the eighth amendment was also enacted after a referendum back in 1983, which the Irish people voted for by a similar margin: 66.9% to 33.1%. 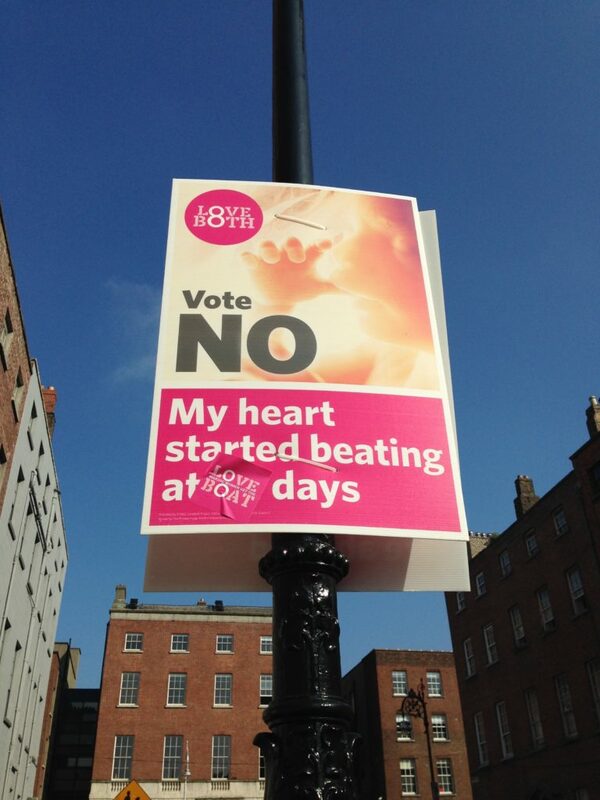 So the result was seen as symbolic of a sea change in attitudes over the course of 35 years, part of the secularization of society and of the declining power of the Church, something observed across the western world over the course of the twentieth century and which has only belatedly come to Ireland. 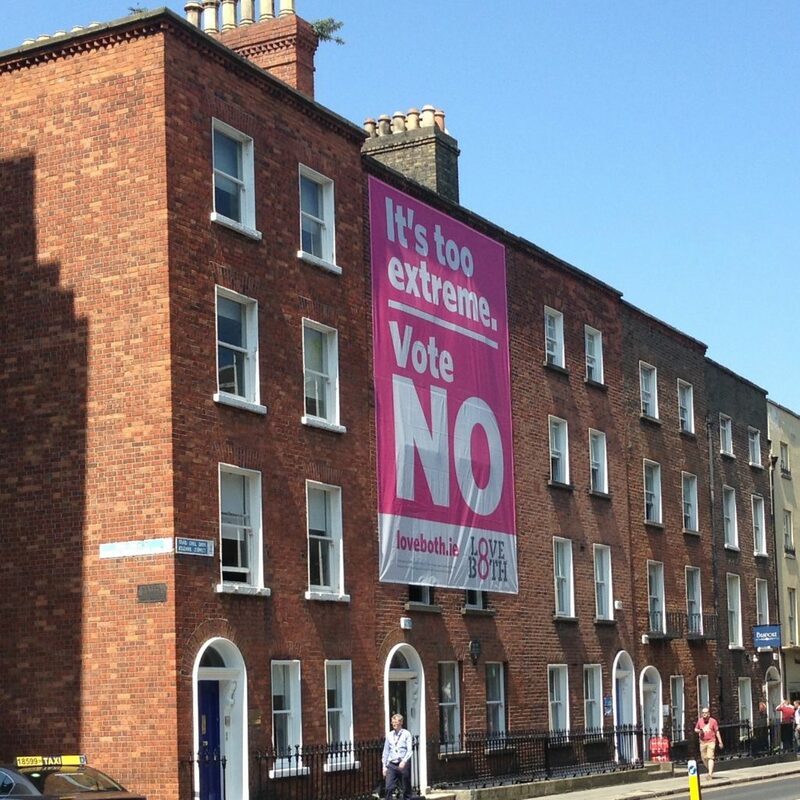 I think it’s great that Ireland decides these things by referendum. It’s much better than leaving it up to five of nine Supreme Court justices and whatever creative and tendentious interpretation of the law that they come up with on a given day. 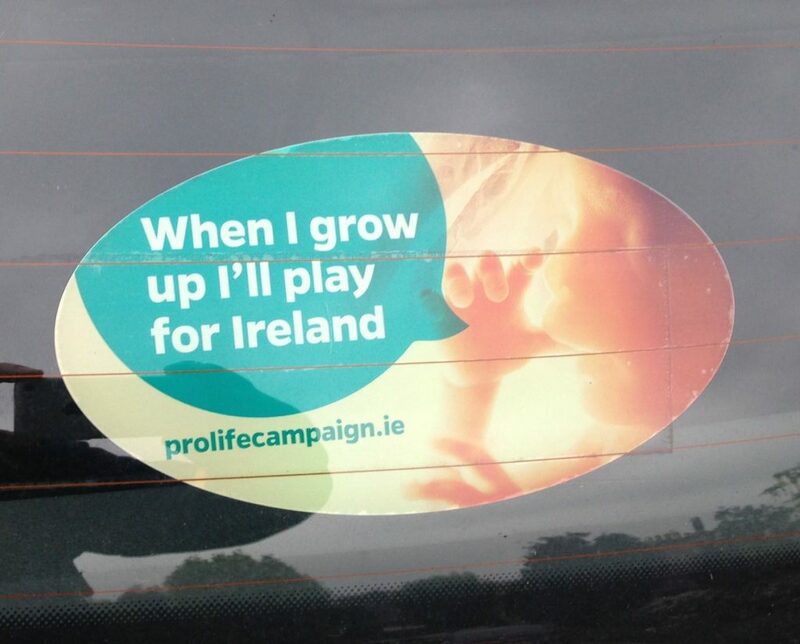 As you can probably imagine, we saw a lot of advertising on the topic throughout the country. 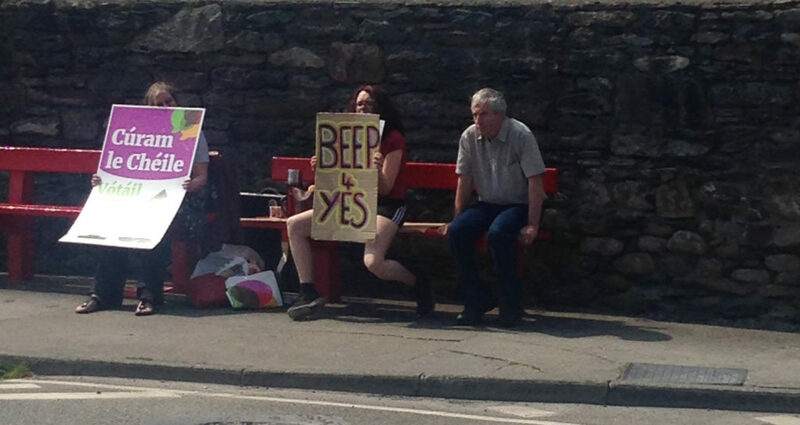 Unsurprisingly, the “No” side had most of the signs in rural County Kerry, while the “Yes” side had most of the signs in urban Dublin. 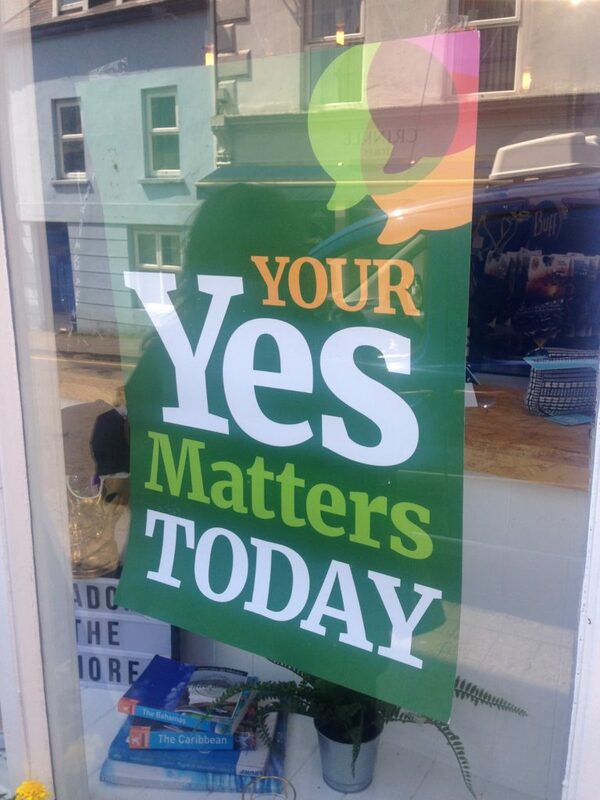 But it was unreflective of the actual results: the only constituency that “No” actually won was County Donegal, and there only by a slim margin. I took this photo from the coach as we were heading into Dublin. I wanted to get signs from both sides in the same frame. 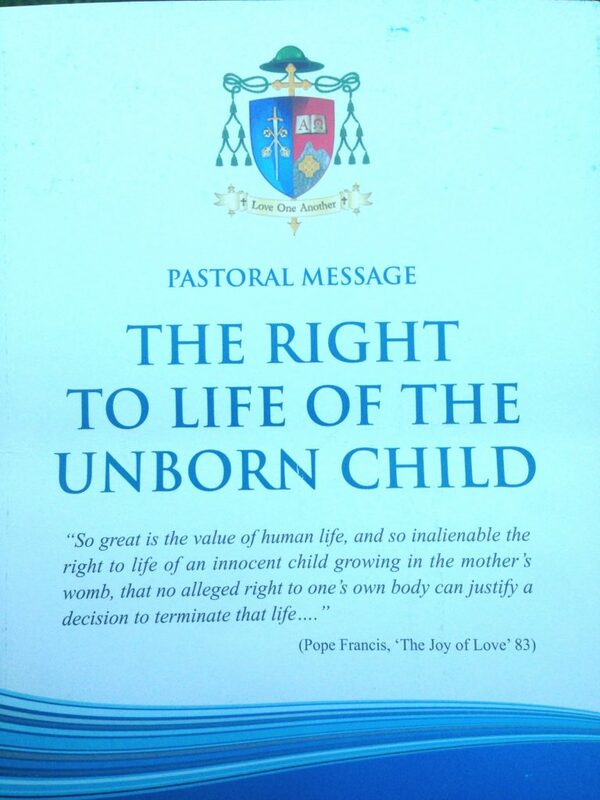 As chance would have it, this is about as strident as it got (“killing babies” vs. “my-body-my-choice”). 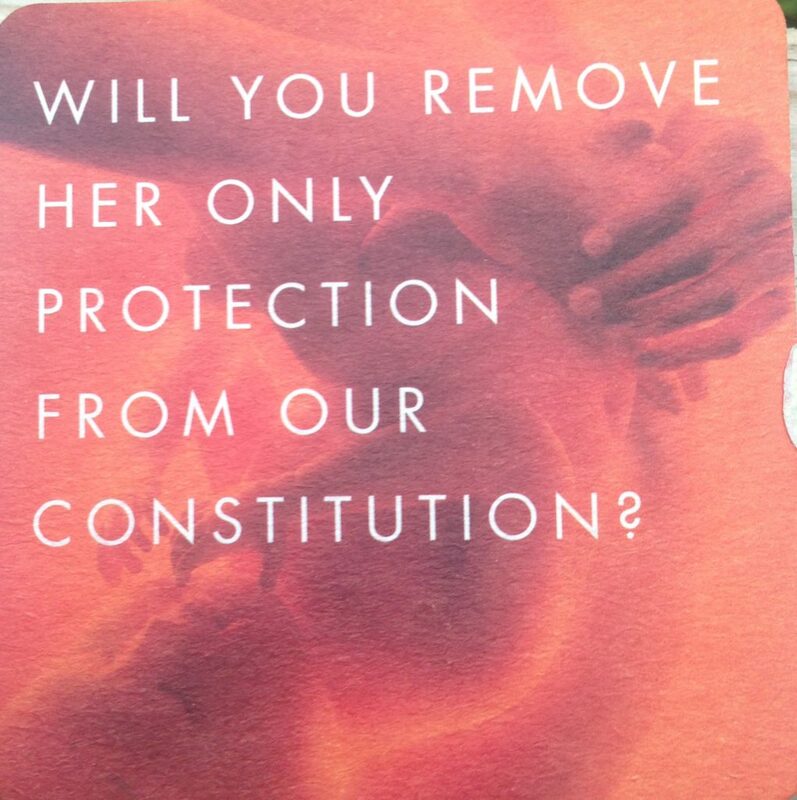 The Catholic Church, of course, was flat-out for the “No” side. 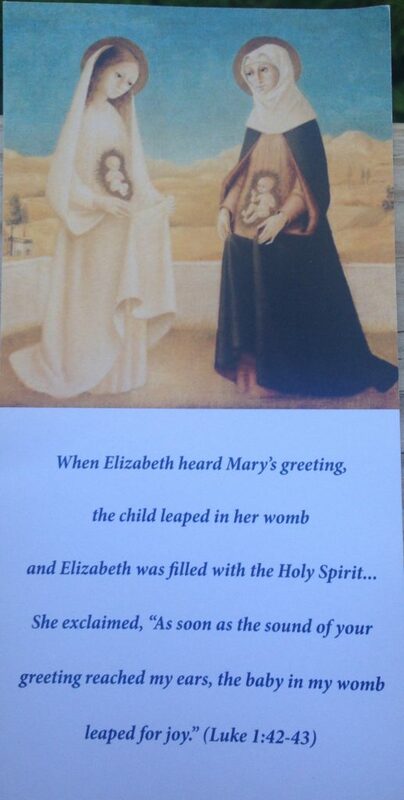 I picked up some pamphlets in the churches I visited. 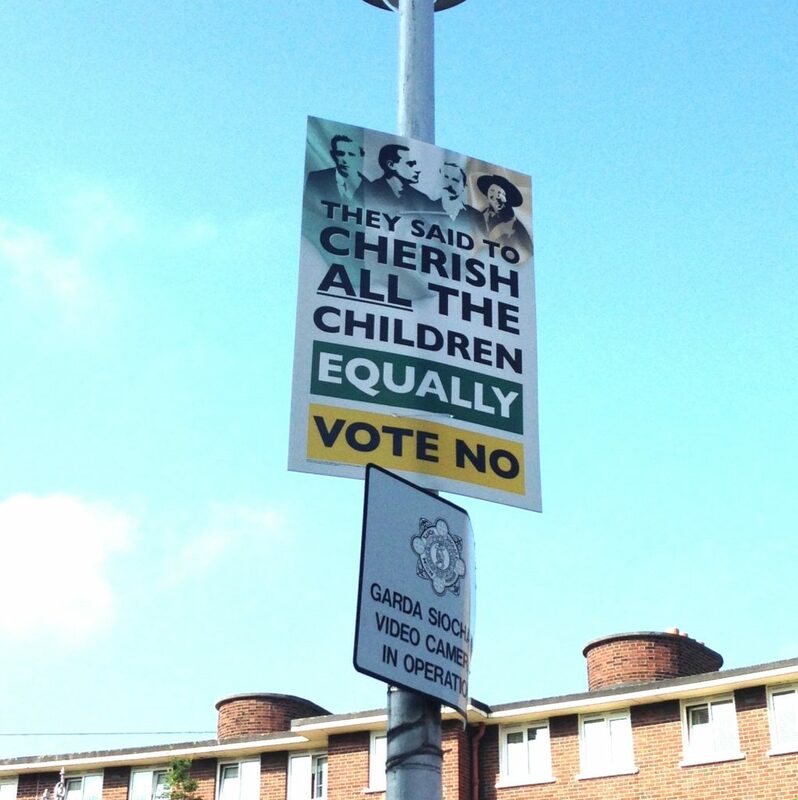 But what I found most interesting is the appeal to Irish nationalism (not necessarily Catholicism, although of course there is going to be some overlap). 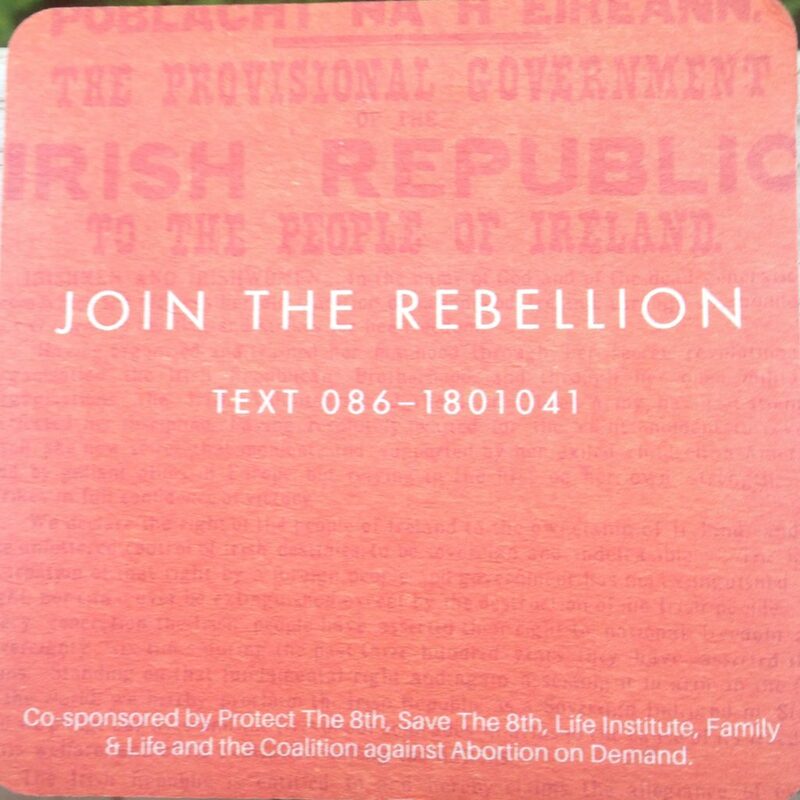 Note how this drink coaster makes a connection between the rebellion of 1916 (see the declaration of the Irish Republic in the background) and the “rebellion” against the movement to liberalize abortion laws in 2018. 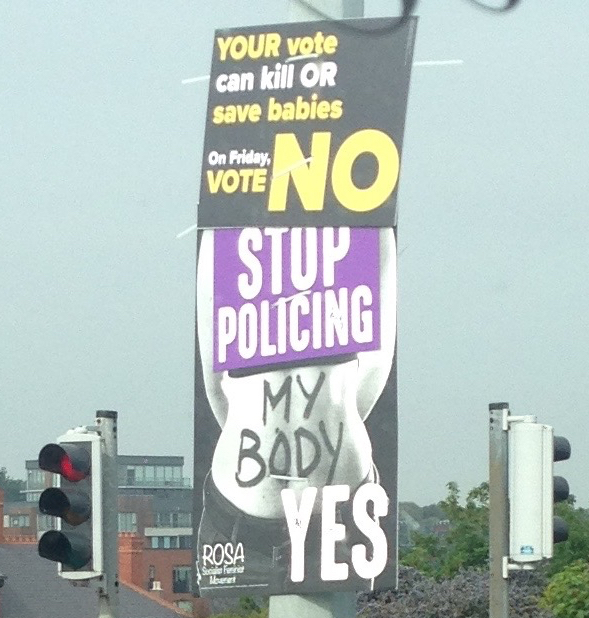 This entry was posted in Current Events, Ireland, Politics by jgood. Bookmark the permalink.